Another walk around my neighborhood in Washington Heights today. Willow came along. She was a very good photo-walk partner as long as I gave her a few treats and some water along the way. We went to Highbridge Park and saw the tower. And the Prayer Tower atop Christ United Church on 175th Street and Broadway. 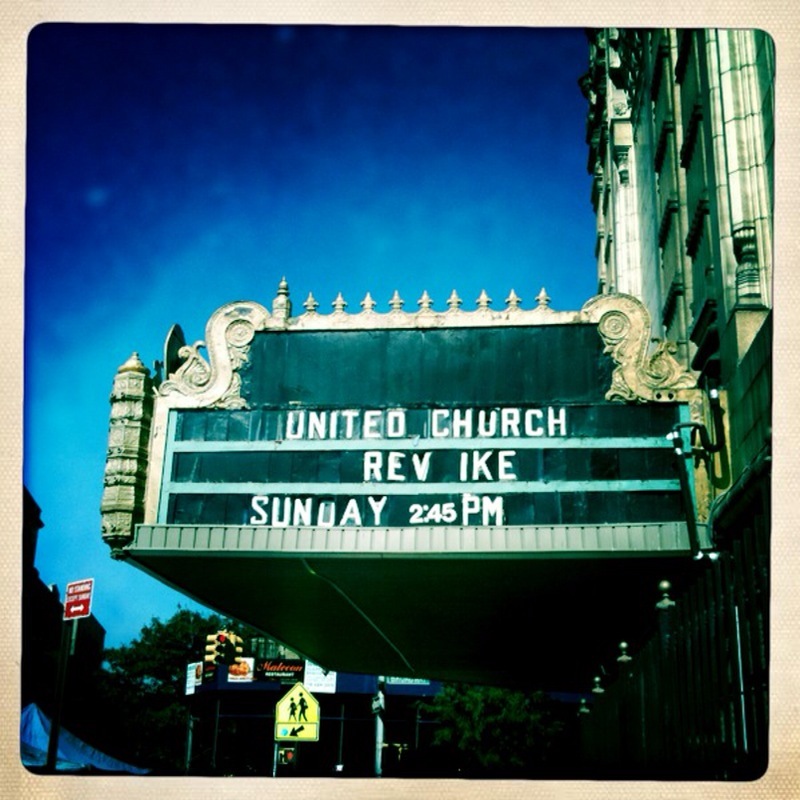 I don't know much about this church, but they had a pretty charismatic leader, Reverend Ike, who died a few years ago. It's pretty welcoming when you walk by. That's all for today. Check out more Tuesdays over at Communal Global. Wow. I love your walk around your neighborhood. Such a great place to live : ) LOVE that church sign. I smiled when I read it! Love that truck!! Total Awesomeness. I really like the signs! I seriously need to plan a trip to NY - you always make it come alive. oooh! love the blue fire escapes. There's something about fire escapes in general that are so alluring. Wow....great shots! What a fantastic place to take a walk!!! what a bunch of great photo's! love the blue fire escapes! 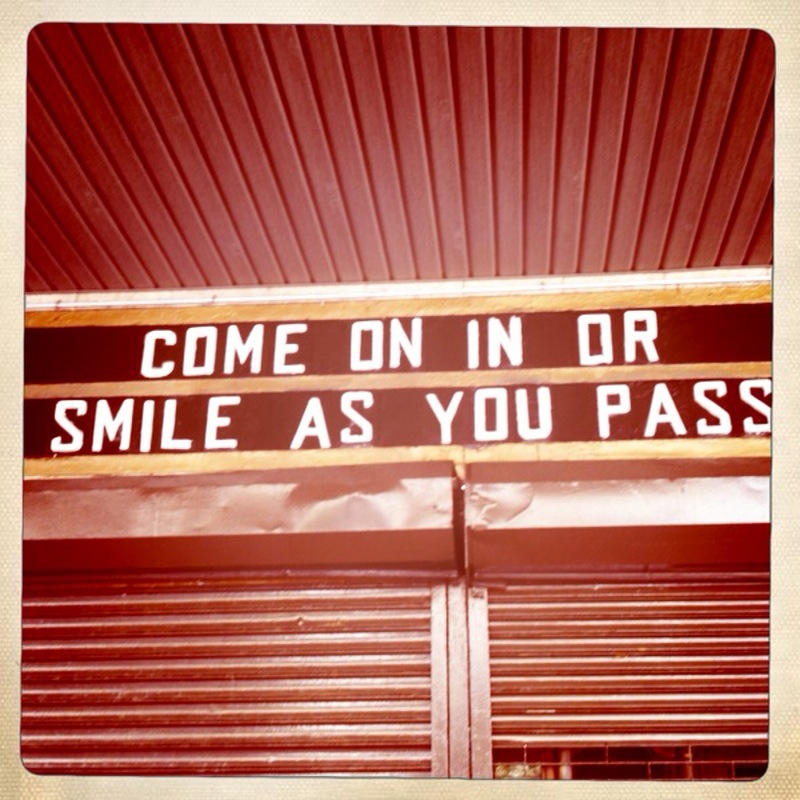 and the come in or smile as you pass by...luv it! I love your post and photos today. The fire escapes....Wowza...awesome catch. And of course I'm a sucker for a cute dog. Love that Willow, I can just tell. I also loved the graffitti trucks. Here in Maine the graffitti is very lame. I suppose all in all that's a good thing-but someday I hope to catch something with a flair. Thanks for sharing. that fire escape is amazing!!! Such great pictures! Looks like you and Willow had a great walk and got some very nice photos! I'm kind of a nerd about signs and finding interesting graffiti pieces around the city. I love these pictures. great job! I am so glad I found your blog. do you know the purpose of the highbridge tower? all of NYC water is gravity fed--up to about 60 feet (6th floor) after that--building owner are responsible for water towers.. (which is why they are such a common roof ornament!